Our DIY window bird feeder is made from an old cake pan and allows us to watch our lovely wild birds eat their breakfast while we eat ours. It is a fantastic way to see birds close up while still keeping them safe from predators. Feeding wild birds is one of the simple pleasures in life. Not only do the birds benefit hugely from the extra nutritional support, but they are also lovely creatures to watch. 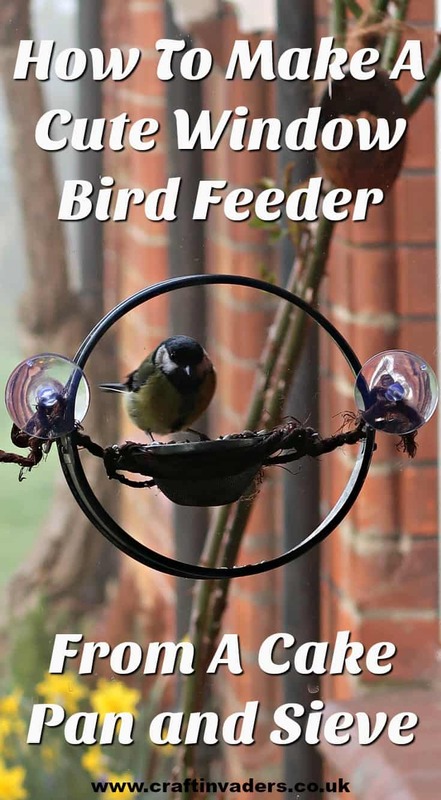 Spending a few minutes each day watching them flit to and from a window feeder is a great way to relax as well as learn a little more of our delightful wildlife. We have made homemade bird feeders in the past. 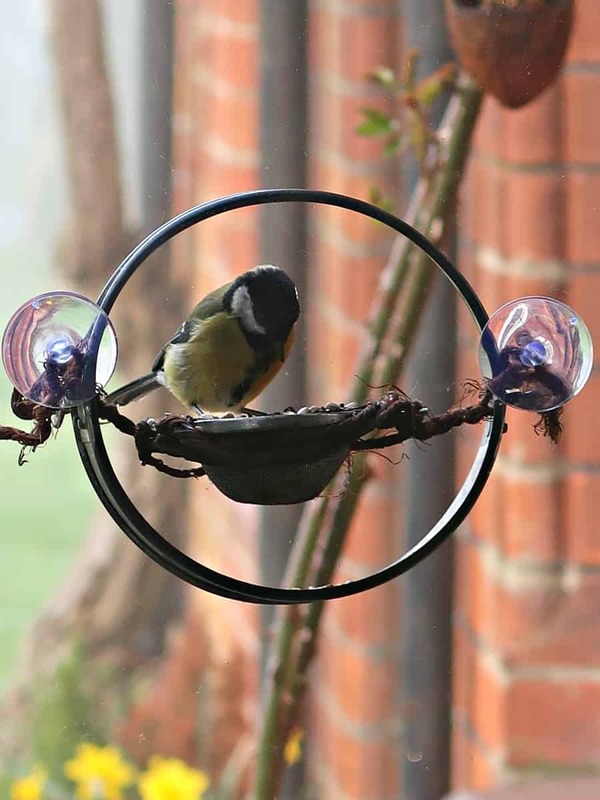 Our willow ball bird feeders are designed to be hung up in the trees away from predators. The birds love them, but they are not readily visible from the house. This DIY window bird feeder brings the birds in close and gives us a fantastic view of them as they feed. What we used to make our window bird feeder. I also used a metal hack saw and wire snips. 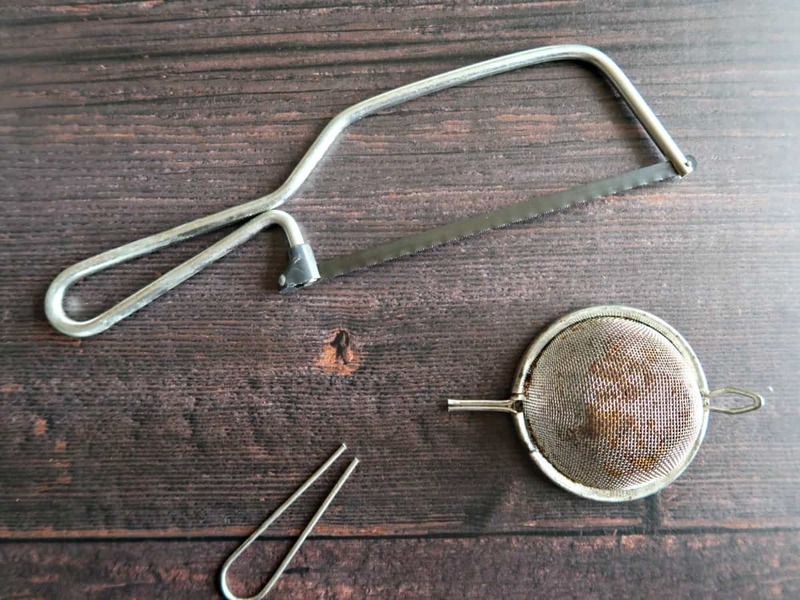 I started by cutting the handle off the old tea strainer with a hack saw leaving about an inch stump. 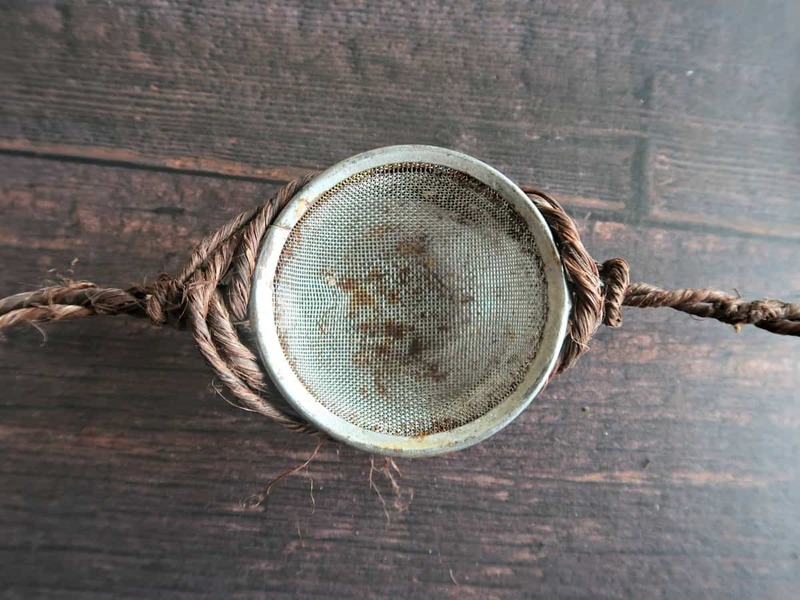 This little sieve will hold the bird seed for our window bird feeder. It’s perfect as it won’t retain moisture and cause the grain to spoil. 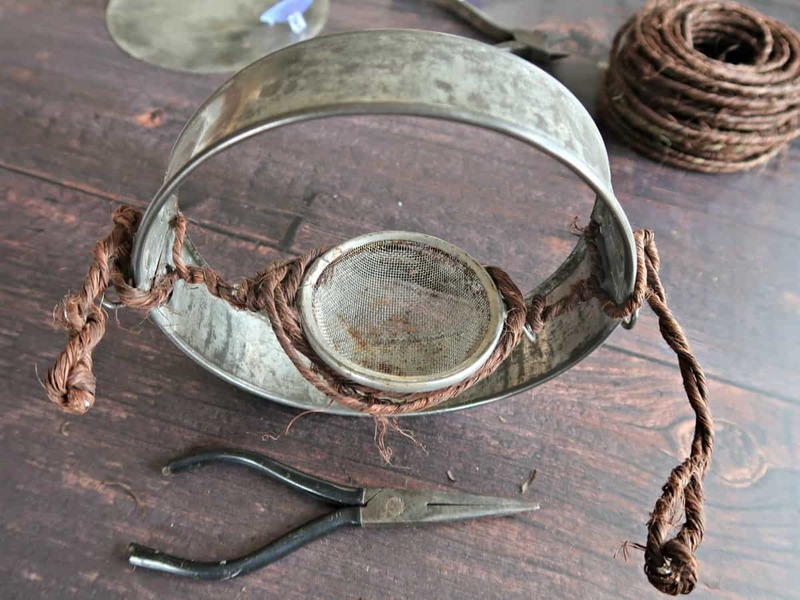 I then cut a length of wire about 4 times the diameter of the cake pan which is what will hold our little cup of bird seed in place. 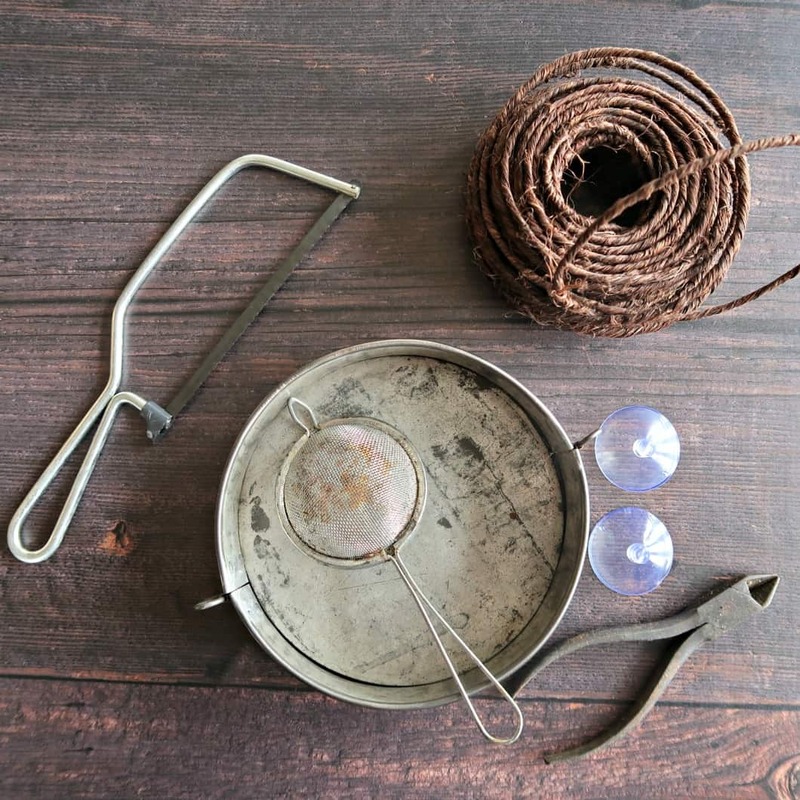 The rustic grapevine wire that I used is made from steel wire encased in twine. Not only does it look beautiful, I think it’ll be ideal for little birds to hold on to without causing any damage to their little feet. 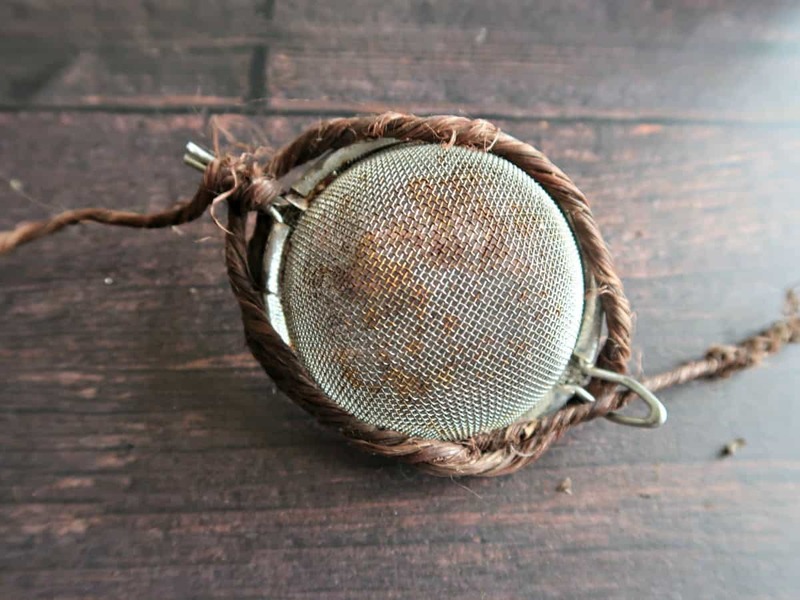 I used the stump and the loop on the strainer as anchoring points for the wire which I wound around the sieve until it was held securely in the middle of the length of wire. The cake pan that I used is hinged which made it really easy to attach the wire without it slipping down. I merely wound it around the sides above the hinges. And looped the cord through the little pin. 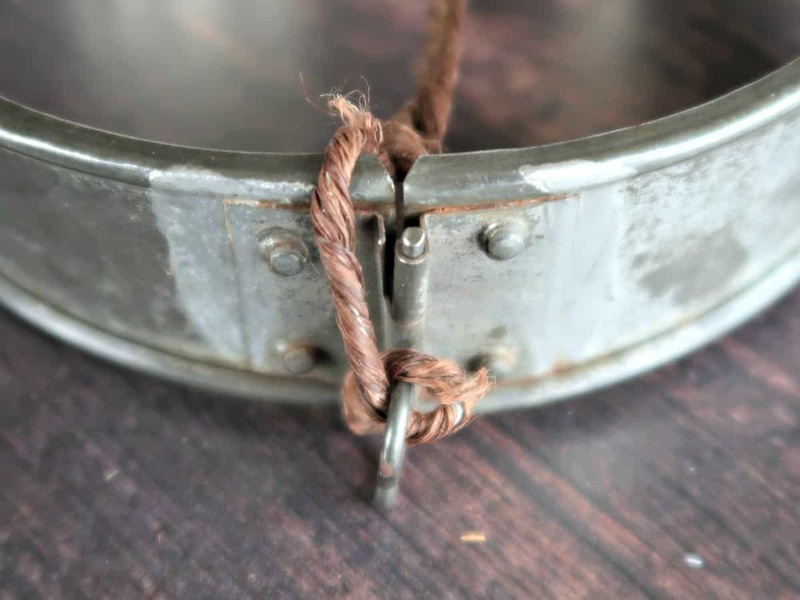 Once the strainer was held in the position I wanted, I threaded the two suction cups on to my tails of wire giving it a twist to secure them. 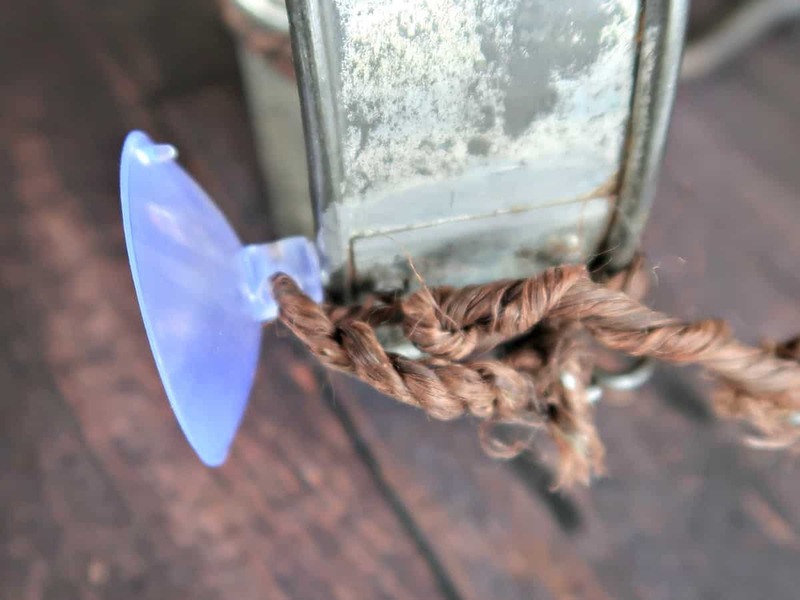 I used the excess wire to make little perches making sure that any sharp ends were turned in on themselves so not to cause injury to the birds. Suction cups stick really well to the glass window as long as it is spotlessly clean. To attach the cups successfully wipe the glass first with a little vinegar to ensure there is no grease on it. Then it’s just a matter of pushing them on to the glass. 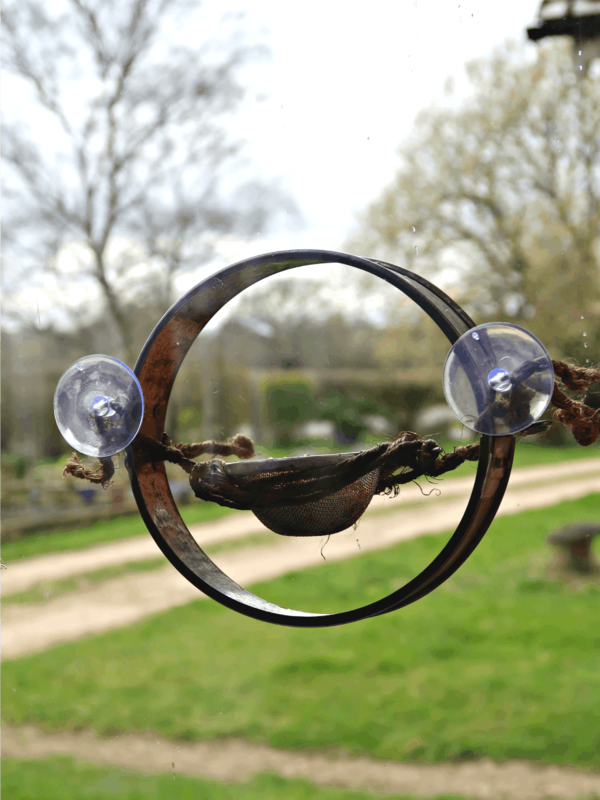 This is the method we used, and our homemade window bird feeder has stayed in place beautifully. To encourage wild birds to visit a window bird feeder place another bird feeder nearby in an obvious area. If it’s a feeder that the birds are familiar with all the better. 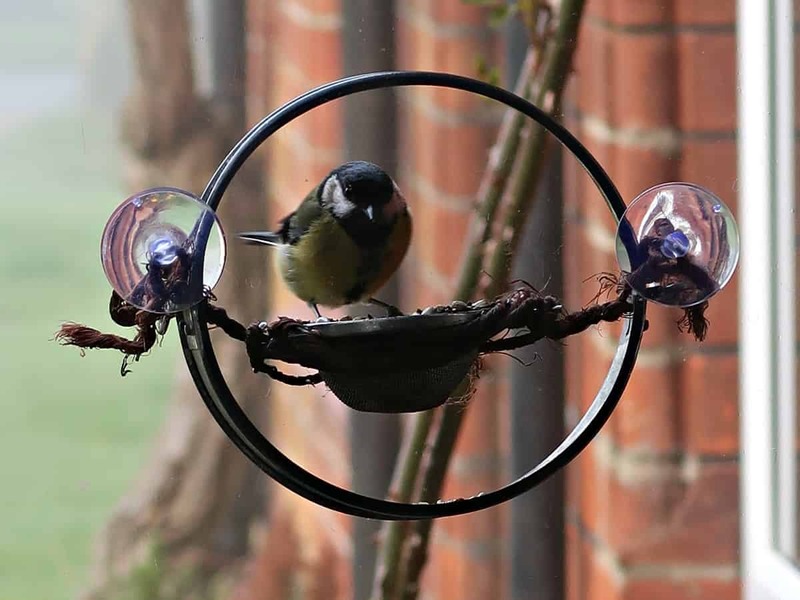 Once the birds find that one it won’t take long for them to spot your window feeder, particularly if you fill it with something enticing like high-quality seeds. It took our birds about a week to find our cake pan window bird feeder, but now they have they are back and forwards to it all day. If you love watching birds in your garden why not make your very own Swallow Cam and see if you can catch your birds on film.